The Filament Theatre Ensemble is thrilled to present a brand new theatrical experiment: the SUSTAIN36 Theatre Project. In partnership with Zaarly, the marketplace that helps you buy and sell with people nearby, Filament will attempt to create a brand new, locally-sourced, world premiere theatrical production in 36 hours. Beginning at 8:00am on Wednesday August 24, a team of artists from the Filament Theatre Ensemble will take up residence in a vacant storefront at 4047 N. Milwaukee Ave. Starting with nothing but a title (provided by a winning applicant from Zaarly), (UPDATE: The title of Filament’s world premiere production is Vacant City/Glow.) Filament will begin the process of creating a completely original play. Throughout the next 36 hours, Filament will look to the community for all aspects of the production – sets, costumes, audience seating, volunteer contributors – via the Zaarly platform, which will allow users to bid on the offers on the website, the Android or iPhone app. Community members can then share their stuff or their time in exchange for a ticket to the SUSTAIN36 Theatre Project performance which will be performed Thursday, August 25 at 8:00pm, a mere 36 hours after the playwriting process began. The Filament Theatre Ensemble is committed to producing theatre in a folk tradition with an emphasis on community, imagination, and sustainability. 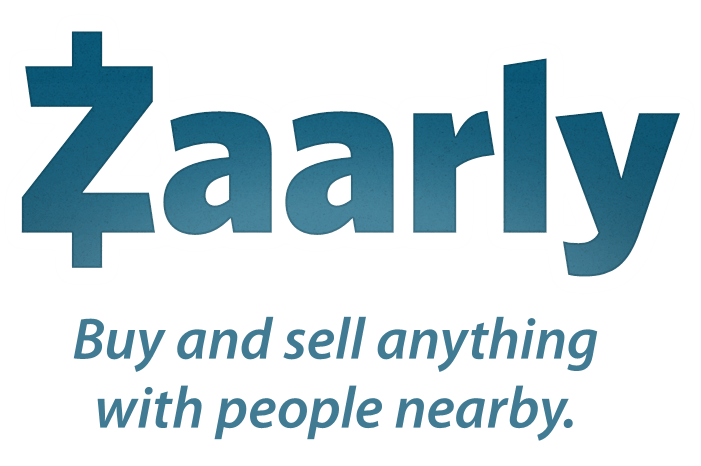 Embracing an old-world system of borrowing, bartering, and trading, adapted to our modern world through the internet, Zaarly encourages a neighborhood-centric marketplace for the exchange of goods and services. This old world system made new is what excites Filament about this adventurous community supported theatre project. Theatre is by its nature an intensely collaborative art-form, and through this project Filament hopes to further explore the concept of Community Supported Theatre, as they did previously this season through a unique ticketing platform for Sarah Ruhl’s Eurydice. Following the SUSTAIN36 Theatre Project performance, there will be a party during which the Filament Theatre Ensemble will announce their 2011-2012 season. Come be the first to hear the exciting news! To participate in the SUSTAIN36 Theatre Project, visit us online at www.filamenttheatre.org, get the up-to-the-minute updates on Twitter using the hashtag #sustain36, and follow the listing updates on Zaarly. Tickets for the SUSTAIN36 event, which includes an after party with food and drinks provided, are $36 and can be obtained by visiting http://sustain36theatreproject.eventbrite.com. In lieu of purchasing a ticket, audience members can contribute to the SUSTAIN36 Theatre Project by answering requests for production needs on Zaarly. All items will be returned to their owners after the performance. About Zaarly. Zaarly is a platform that allows users to easily get the goods, services, and experiences they want. With Zaarly, people can post what they want, when they want it and what price they are willing to pay and someone in the Zaarly community can fulfill it. This two-way, community-powered process provides convenience and flexibility to buyers while allowing sellers to make money fulfilling requests from the people around them. Zaarly is based in San Francisco, CA and is backed by investors, including Ashton Kutcher, Felicis Ventures, Bill Lee, Naval Ravikant, Lightbank, SV Angel, Paul Buchheit, Thrive Capital and Michael Arrington. Zaarly is currently available on the web, mobile web, iPhone and Android application. Visit www.zaarly.com for more information. A Note From Filament About Community, Imagination, and Sustainability. These three ideas are inextricably linked to both each other and to the values of the Filament Theatre Ensemble. One cannot build community without celebrating the unique imaginations of the individuals who make that community. Communities are enriched when consumers support locally owned businesses, which is an important aspect of sustainability. We strive to make theatre a sustainable lifestyle for our community of artists, and always provide monetary compensation for their extraordinary and imaginative work. Producing a show in an environmentally responsible and sustainable way demands a great deal of imagination and non-traditional approaches. With all the work we do – whether during a production, audition, meeting, or outreach event – we strive to make an investment in our audiences, our artists, and our world. Through building and strengthening community, engaging and challenging the imagination, and the use of sustainable business practices, we endeavor to leave the world a little better than the way we found it. **Filament would like to extend our sincere thanks to Alderman John Arena of Ward 45, Julie Burros from the Department of Cultural Affairs and Special Events, David Zoltan, Tim McDonald, Cyd Smillie, Domino’s Pizza, Pop Chips, Piece Pizza, Eventbrite, Turin Homes, the Portage Theatre and the whole Zaarly team for making this project possible.